Couponing with Martha: Binder Giveaway. Sign up now!!! Binder Giveaway. Sign up now!!! One of the most common questions I see in comments in e-mail is "How can I organize my coupons?" A coupon binder is a great way to organize your coupons and right now, we're giving away a fully loaded one to THREE lucky winners! 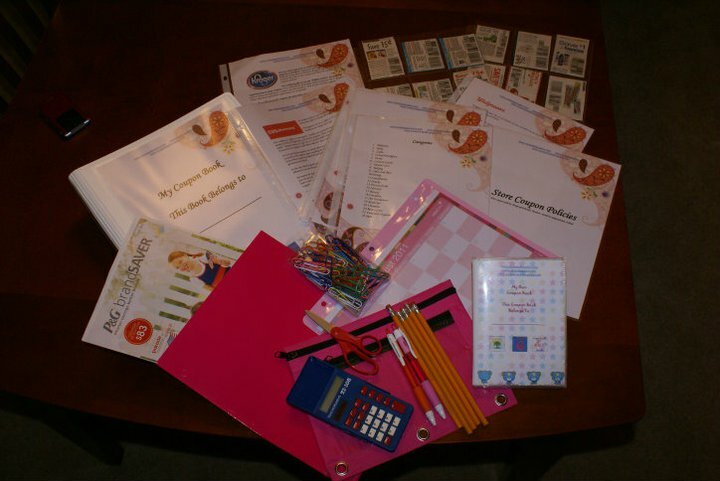 -As an added bonus, you will also receive "My Own Coupon Binder" for your little ones (ages 3+) because it's NEVER too early to start teaching your kids to coupon! To enter the giveaway, all you have to do is like these three blogs and then fill out the form below - so easy! Good luck and don't forget to tell your friends! This promotion is in no way sponsored, endorsed or administered by, or associated with, Facebook. It is sponsored by the blogs listed above only. By entering this promotion you release Facebook of any or all liability associated with this promotion. I like all but no form to fill out?! Hope I win!! Thanks for the chance.. Thank you!!! I love your deals and your site. I hope I win!!! I like all on Facebook!! Pick me! :D lol I really need this! I am so unorganized right now! i liked all but no form. hope this is where i sign up to win!!! I already like them all :-) Good luck to everyone! Yep, I liked them all too, and also hoping this is the form, because I'm not seeing it any where else! Being new to coupon-ing, this would be great to have! Crossing my fingers!!! Mother of three and love to use coupons really needs to get organized with a Coupon Binder. Thanks for the chance and Good luck everyone. I would love this.......with a spouse that is unemployed and two little ones this would make my shopping trips perfect. I could save money being organized. I like all three sites!! Thanks for having such a GREAT contest. please pick me! i liked all the sites an everytime i sent my entry it said that i forgot to put in my name and email. I like this giveaway!!! Thank You so much! Thank you for the opportunity!!! Good Luck everyone!!! i really hope i win. been wanting to get started with couponing just dont know where to start and this would be perfect. plus as long as ive been doing these givaways on facebook i still havnt won a single thing so i hope i win! the idea of the "my own coupon binder" for our kids is so adorable! Thought I would let you know that I "like"d them all since there was no form to fill out! LOL Pick me! Thanks so much!